Last Monday I flew to the coast with seventy 12-year olds and eight other adults. “Sounds like a strange and twisted way to spend a vacation at the beach” you might say. If it had been a vacation, perhaps … this however was school! 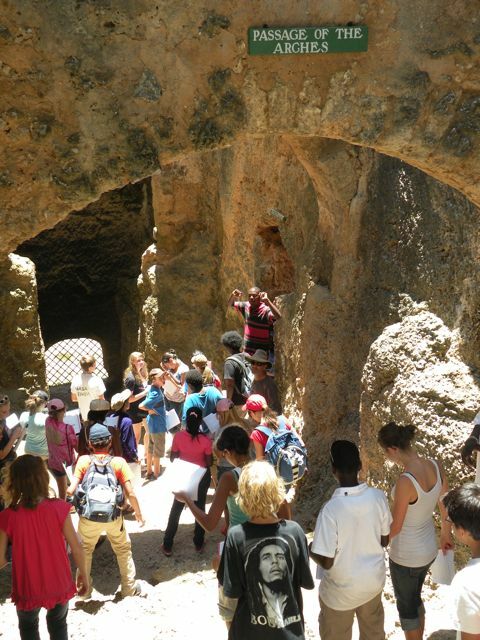 Science class on the coral reefs, history class at the 14th century ruins, social studies in town with kids from other schools and ethnic groups; if only school was always so cool. 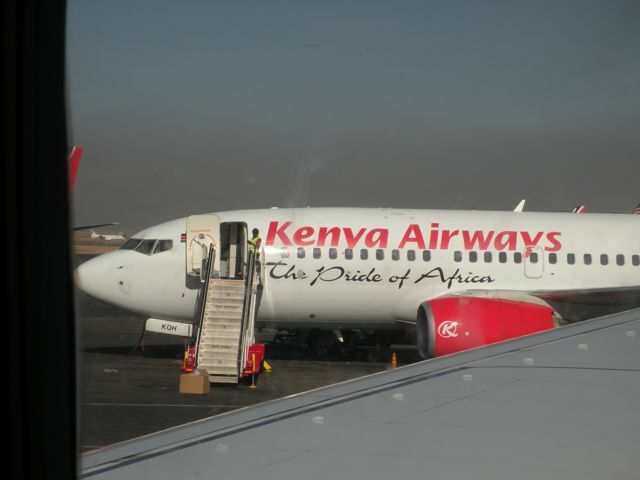 We flew from Nairobi to the port town of Mombassa on Monday morning. (Above is a decent shot of Mt. 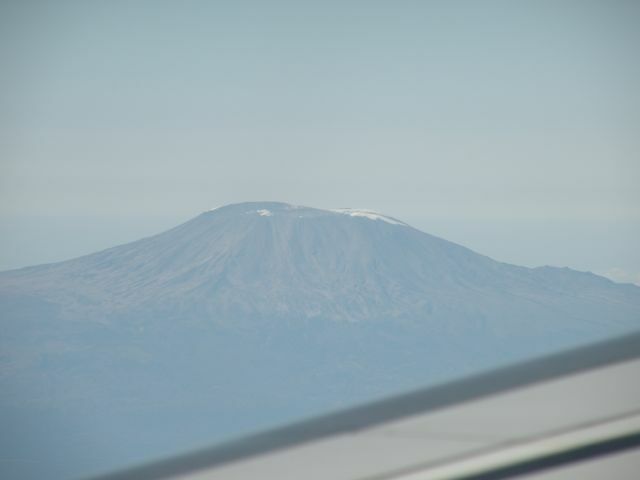 Kilimanjaro that I caught through the plane window.) The school buses which had driven down the day before, met us at the airport and took us straight to Fort Jesus. 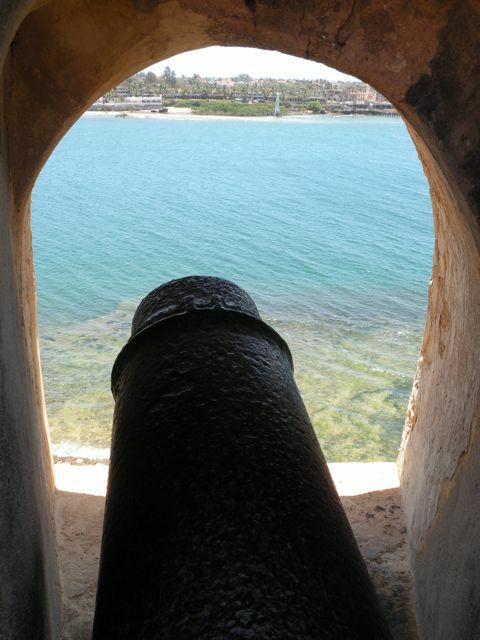 Short history of Fort Jesus: built by the Portuguese in 1593, taken by the Omani Arabs and later by the British. 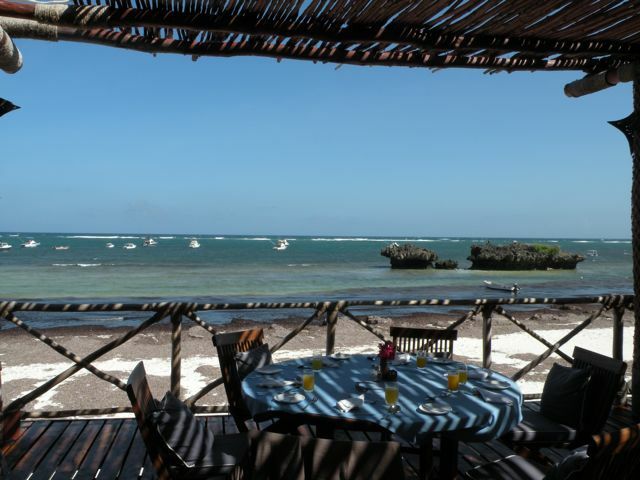 Its strategic location helped give the Portuguese control of the Indian Ocean trade along this coast. 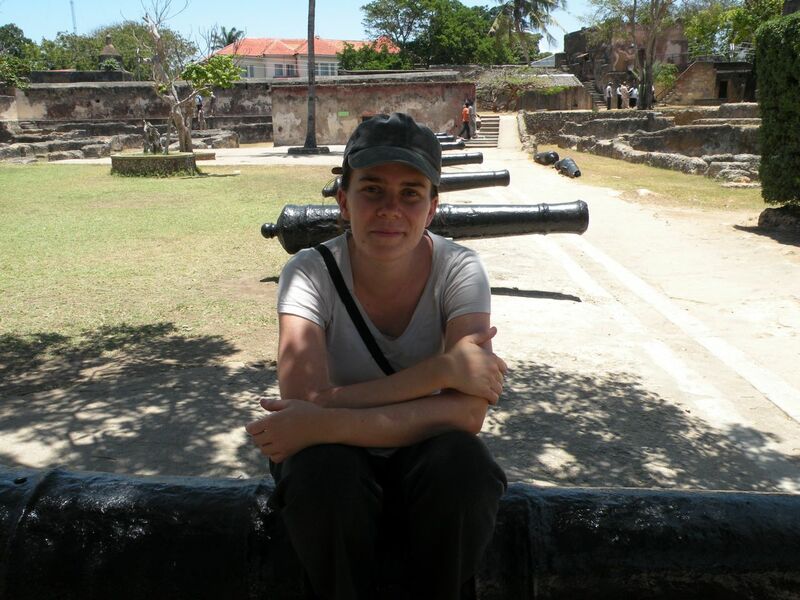 As trade increased, the fort became a valuable and highly contested piece of property. Much death happened in and around these walls. There was no backpacking on dusty tuk-tuks to try to find food on this trip. 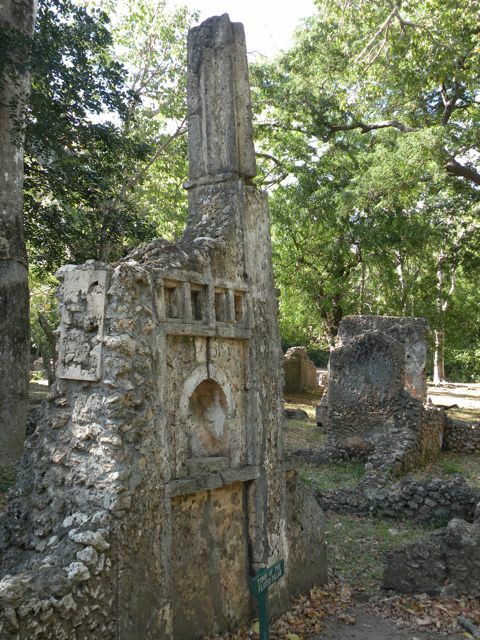 The second historical site that we took the kids is a ruined town called Gedi that dates from the 13th century. An interesting spot as far as African architecture goes – they apparently had figured out advanced drainage and cooling systems. Most of the buildings were built from coral stone. This is thought to be the tomb of the city’s founding ruler and/or imam. 1) snorkeling in the bay, and discussion with a marine biologist who is an expert in Indo-Pacific fish species. He explained how the El Nino of the late 90’s destroyed the reefs along the Kenyan coast and how those reefs are now are slowly coming back. No wonder the coral looked so monotone to me! It’s under reconstruction … a la mother nature! 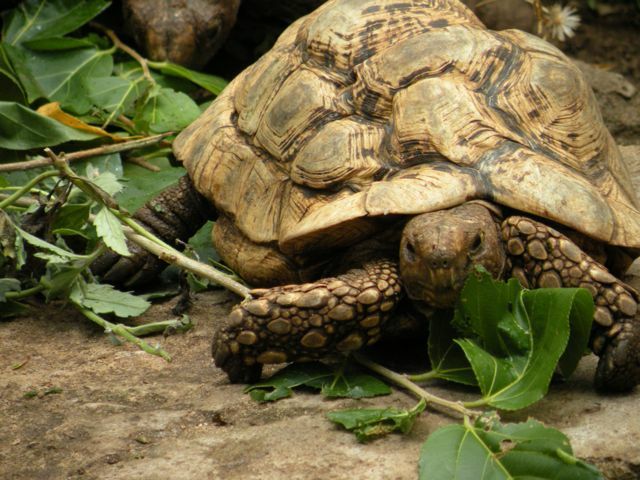 2) visit to a turtle watch and rehabilitation center. 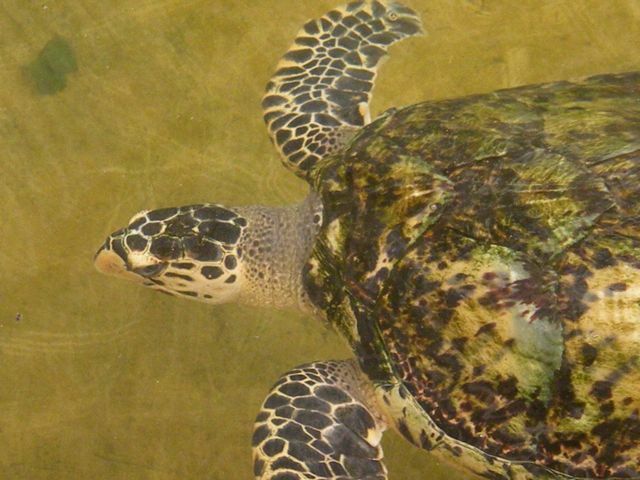 The biologists here monitor turtle nesting sites, and nurse injured/sick turtles back to health. We got to see a healthy turtle being released. 3) visit to a reptile farm and bio-toxin collection center. Basically, these guys deal in snakes. They catalog snakes of the region and collect venom so that anti-venoms can be made. They weren’t as kid-friendly as the turtle guys, but I still enjoyed seeing some of the crazy reptiles. 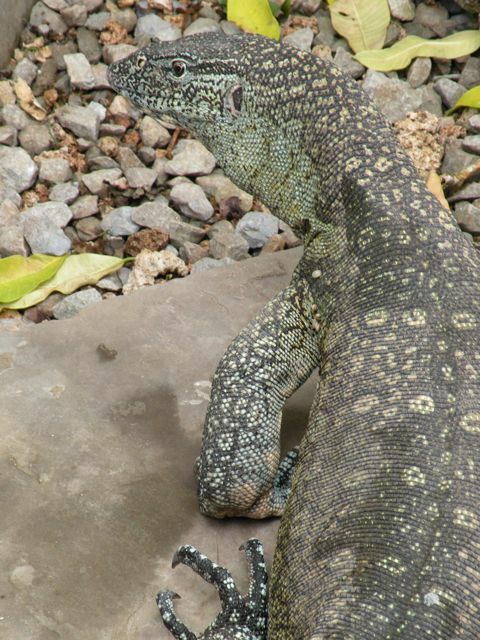 For the more sensitive readers out there, I’ll leave off the snake pics and just post the cool monitor lizard. The social studies unit took on a community-service twist. Several weeks before the trip, all the middle school students participated in a “spectathalon” fund-raising event. The money that each grade raised was to be divided among several community service projects on the intercultural trips. The 7th grade bought and delivered school supplies to a Kenyan school in Watamu. They also made a donation to an orphanage. We visited both organizations and interacted with the children there. Some of our students had never been in a Kenyan school before – the cement room with wooden benches where kids sit three to a bench opened a few eyes. Even more shocking to them was the orphanage where kids sleep two to a bed. The facilities are actually quite well kept – they simply haven’t had the funds yet to build all the dorms necessary to meet demand. That’s in process though, so our kids were able to see how their money will make direct impact: more money means more dorms which will mean each child gets his/her own bed. Math! We didn’t neglect math. On the second to last day, the kids did a beach clean-up competition. Each group competed against the others to see who could pick up the most trash from the beach. (Yes, we gave them gloves and told them not to touch any needles they found.) In 45 minutes of combing just the quarter miles in front of our hotel, we picked up almost 450lbs of trash! And that on a relatively clean beach! How did we work in the math? The kids had to figure out the average amount of trash that individuals from each group picked up. Did the kids get to have a little fun in between times? Yep – there was plenty of pool time and ocean swim time. On the last day they had a “dance” in the central area of the hotel. There had been the usual social drama through the week – budding relationships and broken hearts – which culminated nicely at the dance. Oh the joys and traumas of 7th grade! Learning cool new stuff! I’ve been wanting to see Fort Jesus since my junior year at Duke. The coral reef and turtle info was also very cool. Getting to know the kids in a different setting. I think that starting tomorrow, the dynamics in middle school choir will be a little different. Chillin’ on the beach! Can’t beat it. So sad that there's such a thing as a Fort Jesus where violence happened. But very cool about the coral. Wish I was there! wow… beautiful. bet the animals were cool too!! what a great learning experience for the kids!